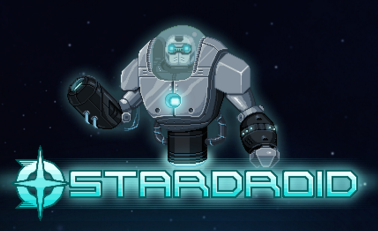 StarDroid is set in the future. 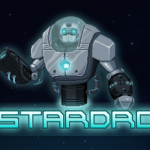 Your mission is to clear the galaxy of the unmanned spaceships that are creating issues with space travel. Before you can get rid of each spaceship, you must clear every level of the ship. 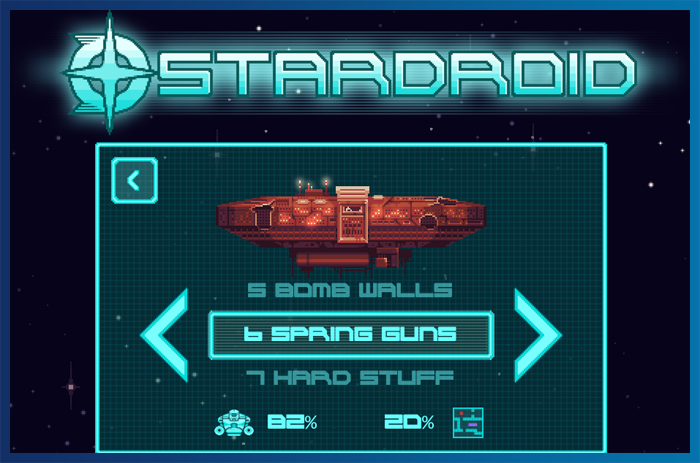 The StarDroid app is billed as a shooter game, but it has so much more to offer than just that! To be honest, I’m not a huge gamer (gasp!) However, while testing this app, I realized two hours passed and I was still playing it! I think the real attention grabber of this game is the puzzle and exploring aspect of it. 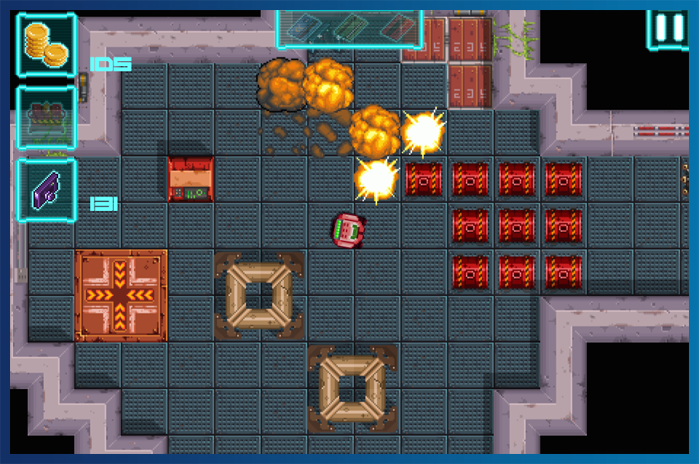 There are laser barriers and enemy robots, some doors require key cards, and crates block your way. 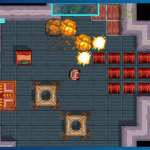 You need to find the switches to turn the barriers off, ammunition to shoot back at the robots, and the corresponding cards for the doors. Puzzles, adventures, and some shooting –what more can you ask for. 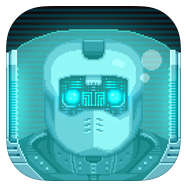 The graphics are reminiscent of early video games – PixelArt rocks! 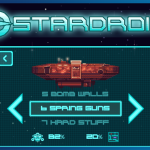 The controls for StarDroid are actually pretty intuitive and very easy to learn. To move the droid, press and hold on the left had side of the screen and move the direction you want to move. To shoot, tap and swipe on the right hand side. Simple! Just be careful, when your left hand fingers move too close to the robot on the screen it sometimes just stops. Try to not get to close to your droid and you’ll be fine. Throughout the game, you will receive messages from your commander helping you through situations you’ll come across in the near future. 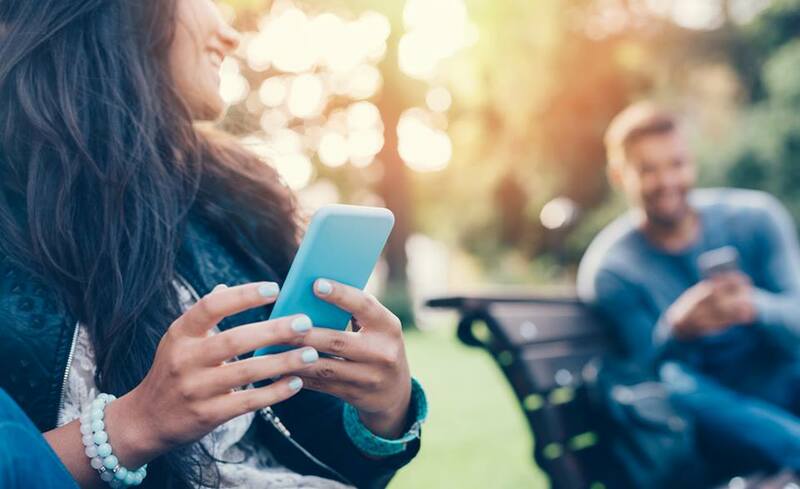 The conversations are a bit silly, but you can close them as soon as they start if you aren’t interested in help –or you’ve restarted a level a few times. 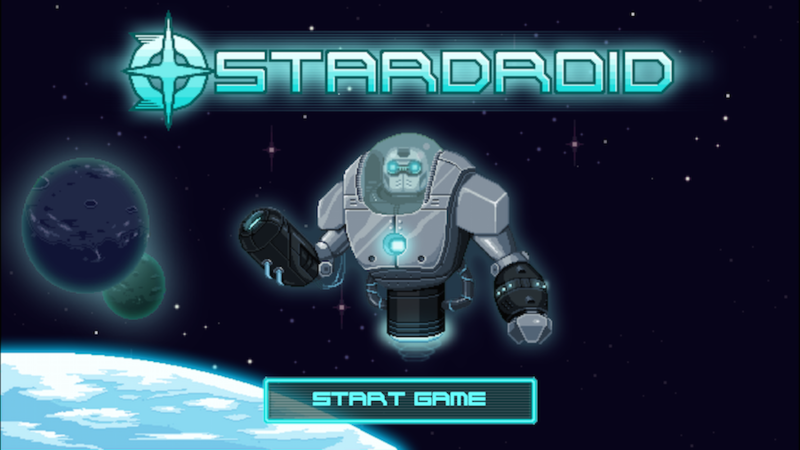 Luckily, there is no background music in StarDroid, which is a big plus for me. You do have background sounds from the computers and other things that are close to you. 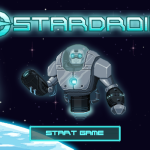 Overall, StarDroid is a fun and engaging game that is perfect for someone looking for a little bit of a challenge while they blow some things up! The retro graphics are perfectly done and the user interface is smooth and intuitive. 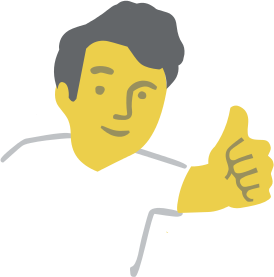 Thumbs up to the indie developers, Krauss & Boll Software! 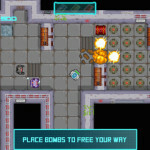 Who Is It For:Sci-fi gamers, shooter enthusiasts, and those who like puzzle adventure type of games. What I Like:The puzzle and exploring aspect of the game. What I Don't Like:When my fingers got too close to the robot I was controlling it stopped –which killed my robot a few times. Final Statement:I really enjoyed this game and got lost in the challenge of it! The game is set in the future, of course, and has a lot of unmanned spaceships that are drifting around aimlessly around the galaxy, thus causing chaos for space traffic. 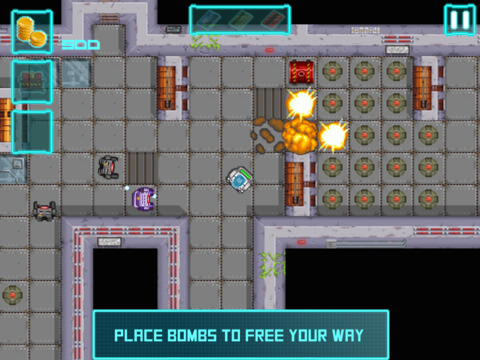 Your mission, as a robot, is to board these spaceships and destroy them in order to save the galaxy's traffic. Are you up to the task? 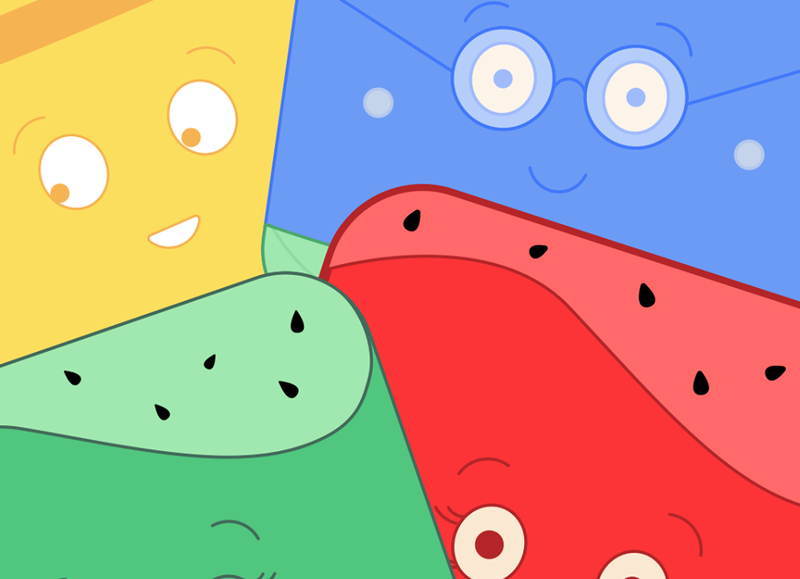 Please note: Runs smoothly on iPad 2/3, iPhone 4S or higher!